Never actually done a project thread before on any of the cars, so this will be a first! 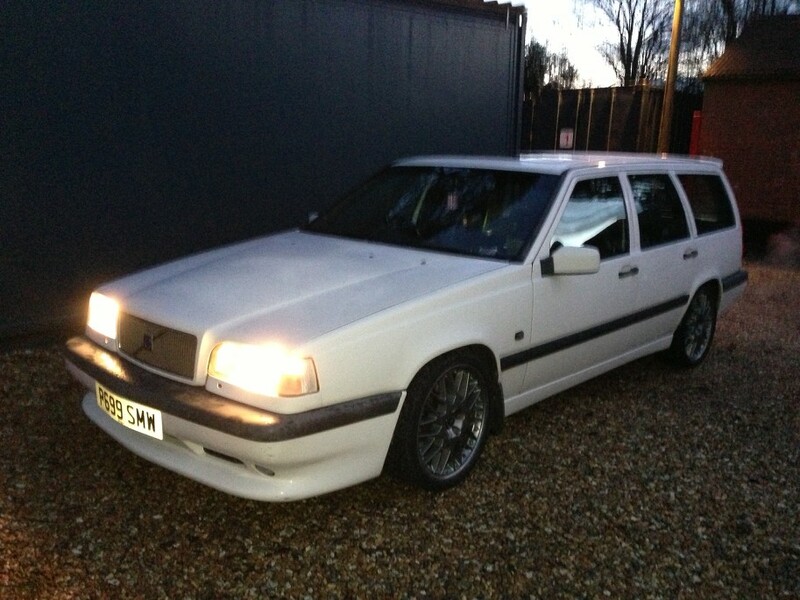 As far as I know, this is the only White 855R Manual that Volvo sold in the UK, so when Cherry put it up for sale, I had to have it!! She's rough round the edges, but a nice project to get my teeth stuck into (not that I do much of the work!). Mechanically it all seem pretty well up together, goes as it should, no nasty knocks or bangs. It just need a new throttle cable (possibly the stiffest accelerator pedal I've ever felt! ), a thermostat and handbrake shoes. They'll be the first little jobs just to make it easier to live with daily. Cosmetics need work! Interior is pretty decent, apart from the drivers seat, which could do with being replaced ideally (anyone got a black 850R seat for sale?!!). The rest is all in good nick. Exterior wise; The paintwork is incredibly flat. A weekend of detailing would probably bring most of it back to it's former glory. But there's rust coming through on the tailgate and rear drivers side door. The lacquer has gone on the bonnet, so that need a respray, as do both the bumpers. I may just end up respraying the whole thing. As much as I like Tritons, the wheels have to go, and i've already got a set of Volans lined up. Mod wise, it's got a few already - Rica 304, OBX catback, Walbro Fuel pump, blue injectors, carbon airfilter box thingy, Electronic boost controller. It drives as it should, pulls well & brakes well. But once I've made my mind up which way to go, i'd imagine most of those bits will be gone. Not sure where to go first - Mechanics or cosmetics? Technically it runs good, so the mechanics could wait until it's looking right. Although, doing the mechanics first would mean my main man Tim, wouldn't have to be too careful when working on it. On where to go with the mods/tuning; at first I was going to just restore it to a mint original example, but I don't think i'll be able to help myself, so the chances are it'll end up with some hefty mods but we'll see. I've got to say, it feels good to be back in a P1. As fantastic as the S60R is, all you P2 guys have no idea what you're missing!! Let the fun begin! Looking forward to seeing the progress Chris. 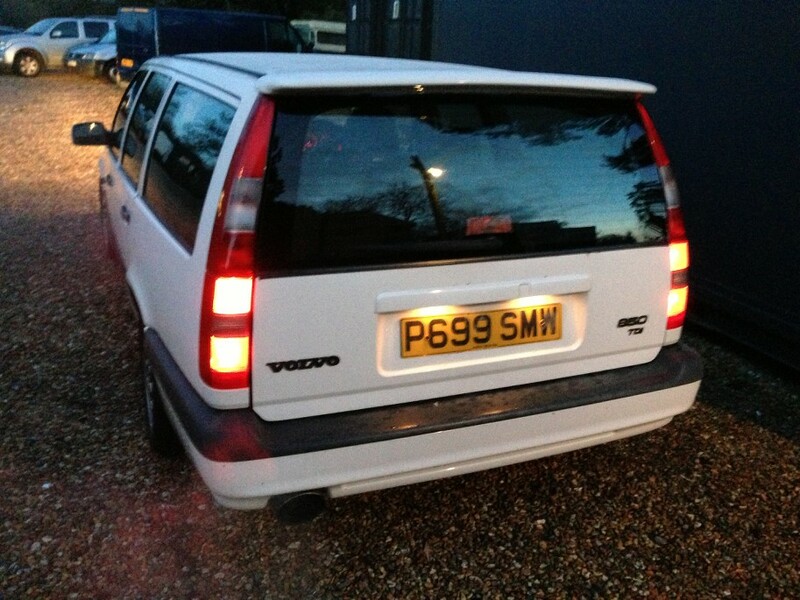 BTW it's not a P1, that would be a V70 Classic, and we've got P1 and P2 cars. 850's and x70's are all p1's to me, always have been. Same platform. This looked good yesterday mate, will be looking forward to seeing the project progress. You're being kind! Thanks. It was like being really underdressed yesterday. It's not normal for me to turn up in the ropiest car! Very nice indeed, this should be an interesting project thread, looking forward to next updates. I like it, smashing project. Look forward to see where you take it Chris. always liked this car, it's good to see it's in good hands. Last edited by martybelfastt5; Monday 20th January 2014 at 20:43. "a mate" eh? You don't have to be ashamed to admit that you want it! It's gotta go now, I'd take a grand for it as it sits. The R badge did come with the car! But can't be bothered until the tailgate gets replaced. But that won't be too long with a bit of luck. I'll stick up a load of wanted threads across all the forums shortly! But of course, goes without saying to sort the paintwork out before refitting the badge. Is this Steve from Cornwall's old car? If so, I very nearly bought it a few years back. 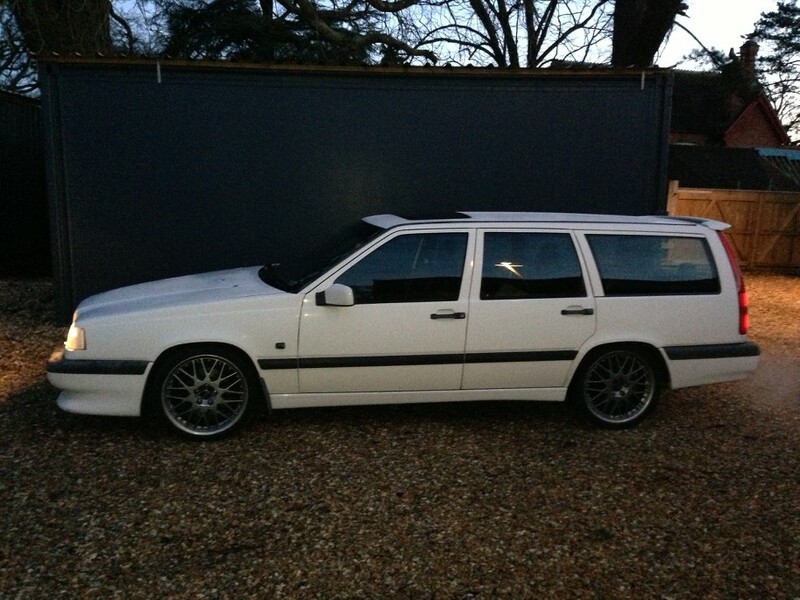 Ended up buying the S70R instead. Bloody hell mate, how many Volvo's do you want??? between you, chris, pete, frankie and mark there'll be none left for the rest of us!